VP, Science, Bios Group, Inc.
Jim Herriot has a multifaceted background in science, business and the arts. Although originally trained as a computer scientist at Stanford University, Dr. Herriot has focused much of his scientific efforts on building computational models of human creativity. As such Jim is particularly interested in analogies, metaphors, story and mythology as well as how organizations can become more creative and innovative. Accordingly, Jim did his Ph.D. doctoral work in the social sciences. The unifying underlying theme for all of this research is computational mathematics, complex systems science, or complex adaptive systems theory, often casually referred to as “chaos theory”. Dr. Herriot contributed to the early Unix kernel in the 1970s which was the cornerstone of the ARPAnet, which became the Internet. In the early 1980s Jim was head of the US side of a joint US-China project to attempt to predict earthquakes in China. Later in the 1980s, Jim co-founded Symmetric Computer Systems, one of the first vendors of small personal Unix workstations. In 1991, Jim joined Sun Microsystems to head up its Unix marketing effort. Later he joined Sun Labs to co-lead a project to build one of the first distributed network operating systems. He went on in the mid 1990s to become an early member of the team which created Java. Dr. Herriot has given hundreds of keynote addresses, talks, press interviews, etc. 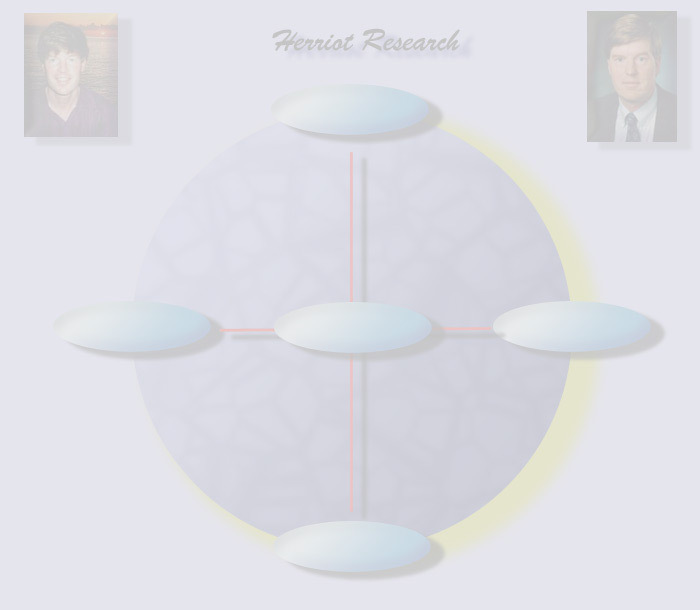 In the late 1990s, Jim founded Herriot Research. More recently, Jim served as a Fellow of the Bios Group before joining as VP, Science. He is also currently a Senior Fellow at the Institute for the Future. His major ongoing research is related to Jim's long-standing interest in cognitive modeling. Jim and his team are inventing and designing the architecture for a novel computational agent-based approach using the latest complex systems science to assist humans in processing the massive amounts of intelligence data. This project is supported by DARPA. Another ongoing project is building a computational model of the economy, including multiple currencies and dynamical creation of new companies and products. Dr. Herriot hopes some of these ideas will become the basis of much improved ways of strategically operating large companies, governments, and organizations.